Olympic gold medalist Chen Long beat teammate Lin Dan in three games to secure his first Badminton Asia Championships title in Wuhan. Chen, the second seed, had not won a major tournament since his triumph at last year’s Olympic Games in Rio de Janeiro but earned the men’s singles crown at the Wuhan Sports Center Gymnasium. The reigning Olympic champion dropped the opening game but rallied to claim a 21-23, 21-11, 21-10 win in a thrilling all-Chinese final which lasted for an hour and 20 minutes in front of their own fans. 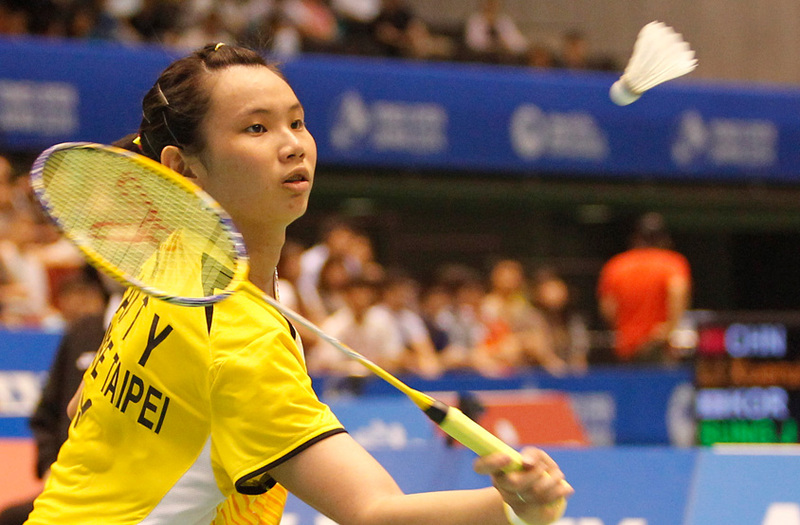 In the women’s singles, top seed Tai Tzu Ying of Chinese Taipei continued her excellent run of form as she overcame second seed Akane Yamaguchi of Japan. The 22-year-old world number one also had to fight back from a game down to claim the title, beating her Japanese opponent 18-21, 21-11, 21-18. Japan did enjoy success on the final day as Olympic women’s doubles champions Misaki Matsutomo and Ayaka Takahashi successfully defended their crown with a 21-19, 16-21, 21-10 victory over South Korean pair Hye Rin-kim and Yoo Hae-won. Li Junhui and Liu Yuchen won an all-Chinese men’s doubles final against Huang Kaixiang and Wang Yilyu, 21-14, 21-12, while China also sealed the mixed doubles title as third seeds Lu Kai and Huang Yaqiong beat Thailand’s Dechapol Puavaranukroh and Sapsiree Taerattanachai 21-18, 21-11. Olympic champion Carolina Marin wrapped up the women’s singles crown at the European Badminton Championships at the Sydbank Arena in Kolding in Denmark by beating Kirsty Gilmour of Scotland in straight games. The Spaniard made light work of the Scot, dispatching Gilmour 21-14, 21-12. The home crowd were disappointed in the men’s singles final as Anders Antonsen, the fifth seed, was beaten by England’s Rajiv Ouseph 21-19, 21-19. His victory saw him become the first Englishman in 27 years to win the men’s singles event at the European Championships. At the Pan American Championship, top seed Ygor Coelho of Brazil took the men’s singles crown by beating Cuba’s Osleni Guerrero at the Coliseo Ciudad Deportiva Tape in Havana. Coelho lost the first game but fought back valiantly to win 12-21, 21-16, 21-10. Top women’s doubles seeds Michelle Tong and Josephine Wu overcame Peruvian duo Daniela Macias and Danica Nishimura 21-11, 21-12.